I need furniture for my new apartment – but don’t have a lot of money to spend. I’d been checking out places like Miss Pixies, which is nicely curated but a bit out of my price range. I even looked at Room & Board and laughed at how unaffordable their pricing is, for me at least (they’re opening mid-June by the way!). I didn’t really want to go to Ikea (in my mid-20s aren’t I beyond it?). So I checked out Ruff & Ready Furnishings for the first time a few weeks ago. Sidewalk sales, a bargain basement, and decent quality, affordable furniture. Sure, the wares are stuffed in there, but the guys who work there will get out whatever your buying from under whatever. And yes, the furniture needs some TLC but for the prices you’re paying, it’s worth it. When I got there to purchase, I was even more impressed with the quality service the people who work there provide. Friendly and nice, but also really accommodating. When it looked like the furniture we bought wouldn’t fit into the Jeep we had, the guys worked with us to make it all fit in so we only had to take one trip. I also hear they have a $25 flat fee for delivery – which is a pretty amazing deal. I’ve been singing the praises of Ruff & Ready for the past few weeks and couldn’t help but give them more props here. The store moved to 14th street in 1989, has been around since at least 1979 on 18th street. That’s pretty impressive. I’m surprised I hadn’t been in there more – I guess going to stores that are better maintained/easier to navigate is more of a desirable Sunday afternoon activity. But if you’re a bargain hunter or in need of some affordable furniture, this is the place to go. Spotlight on is an occasional feature (that I’m trying to do more regularly) in which I spotlight local businesses. So, girls and guys, I have lived in the area for 3 years and before last weekend, had never been to Legendary Beast. What is wrong with me? This little jewelry store on the 3rd floor of a converted townhouse on U street (between 15th and 16th streets) is amazing. 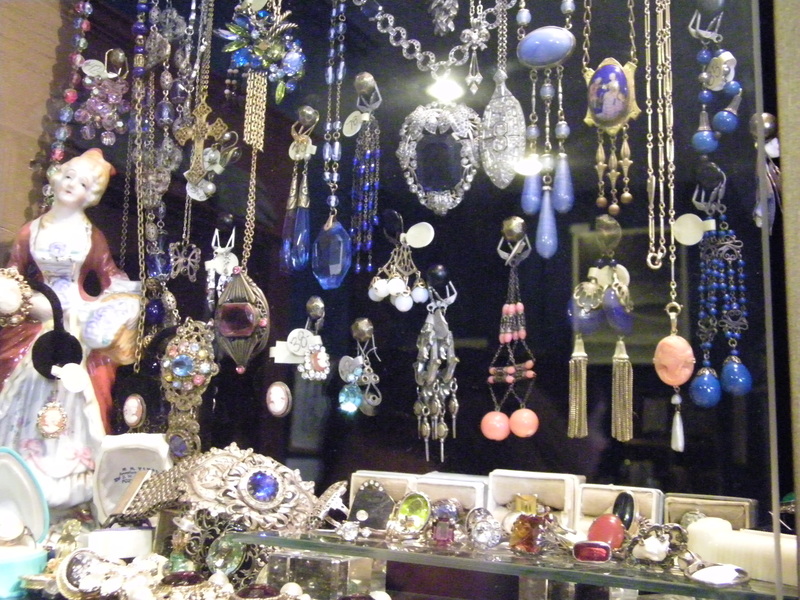 Great vintage finds, great range of more affordable and more splurge pieces, and a great owner who is so knowledgeable about every era of jewelry. You can easily spend hours browsing through the cases, the strands and strands of necklaces, the trays of rings and the rows of earrings. Legendary Beast is only open weekends, so go Fridays, Saturdays, or Sundays from 12-5 (unfortunately they seem to be closed this weekend because of health, I hope everything’s OK!). As I left on Sunday, all I could think was, OK I’m becoming a regular here now. If you haven’t been, you really need to go.